Traditional exercise and conventional wisdom with regards to health and wellness are outdated and antiquated. Traditional exercise programs utilize body part splits emphasizing bodybuilding type movements and long bouts of aerobic or “cardio” training in between. That's all well and good if you are a bodybuilder or trying to compete as a bodybuilder, but that is not the way body functions. The body functions as an integrated unit, that needs to be efficient in all facets including strength, power, and endurance. This is where Unconventional Strength separates itself from your typical gym or personal training studio. 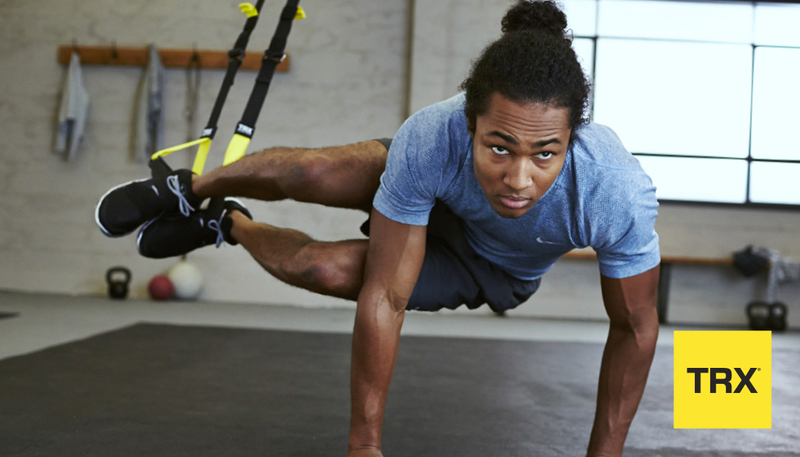 Our emphasis is on utilizing unconventional tools such as TRX, Battle Ropes, Sandbags, Steel Maces, and Kettlebells to create workouts that satisfy all of the requirements of the human body within each workout program. Our coaching emphasizes proper movement mechanics (aka making sure clients are performing the movements correctly and with the right musculature), scaling to the client’s individual limits and challenging those limitations to create change. The results are workouts that are efficient, simple to learn and promote a healthy, stable, strong body without movement limitations. Sandbags: The name of this tool says it all. Its a bag full of sand. Ranging from 15lbs to 150lbs at Unconventional Strength, the team of coaches utilizes sandbags for one goal: make the body more efficient. Sandbags are what is referred to as odd object training. Its shape is constantly shifting because of the moving sand inside the bags, requiring more systems within the body to manage the load of each movement. That makes the movements themselves more challenging as the body is in a constant state of tension to manage the load and exert the force and stability necessary. By teaching both stability and strength we create functional muscle and balance that applies to everyday life. The above list is just a highlight of tools we use to train our clients, all based on their needs, levels, and goals. These tools are nothing without the coaches behind them. We believe in coaching our clients at Unconventional Strength. Whether one on one or in small groups of 4-6, the goal is the same: coach the client to perform the best they can that day. Even in groups, competition is not the client to your left or right, but instead the client themselves. We will coach our clients to their best self; strong and without limitations to their strength. We use the term coach because people need coaches and dogs need trainers. We want clients to learn why we are doing something, to do it because they see the benefit and not just because someone told them to do it. You will not find us staring at our phones while a client moves a sandbag or having idle chat with others during battle rope intervals. Instead, clients can expect us to coach them, motivate them, correct when needed, and compliment when deserved. We have a Three C’s Coaching Cycle: Be Confident in the movement, and Commit to it and the Coaches will Compliment or Correct. The human mind learns by doing and mistakes are ok. That is why we are here to help fix those mistakes, make sure clients do the movements correctly and with sound technique. We adjust as necessary, push the limits of what the client thinks they can do, and help facilitate the change they are looking for. We are not whip-crackers or taskmasters. We are coaches. Let us coach you. Rules: Leave your Ego at the Door and the stresses of your life at the door. You can pick it up on the way out. Come prepared to learn, work and sweat. Know your limitations but do not be afraid to challenge them. If you don't know how to do it, slow is fast. No “weaknesses” in the studio: only opportunities to get stronger.